Are you familiar with any programs that could assist a low-income social worker who has used up his hardship deferments? Any assistance would be appreciated. I'm in a low-paying county, being paid a low income to assist disabled persons, and need help with my student loans. — Dave W. If your loans are federal student loans, such as Federal Stafford or Federal Grad PLUS loans, you should consider the public service loan forgiveness program enacted by Congress as part of the College Cost Reduction and Access Act of 2007. After ten years of full-time employment in a public service job, any remaining debt (including interest) will be forgiven. This forgiveness is tax-free under current law because it depends on work in a specified occupation. Public service loan forgiveness is not available for private student loans or Parent PLUS loans. Public service jobs include employment as a social worker in a public child or family service agency as well as working for a tax-exempt 501(c)(3) charitable organization, among numerous other occupations. To be eligible for public service loan forgiveness, your loans must be in the Direct Loan program. If your loans are not already in the Direct Loan program, you can move them into the Direct Loan program by consolidating them at loanconsolidation.ed.gov. You can do this even if you have previously consolidated your loans. After your loans are in the Direct Loan program, choose the income-based repayment plan. Only three repayment plans are eligible for public service loan forgiveness — standard 10-year repayment, income-contingent repayment and income-based repayment — and income-based repayment usually yields the lowest monthly payment. 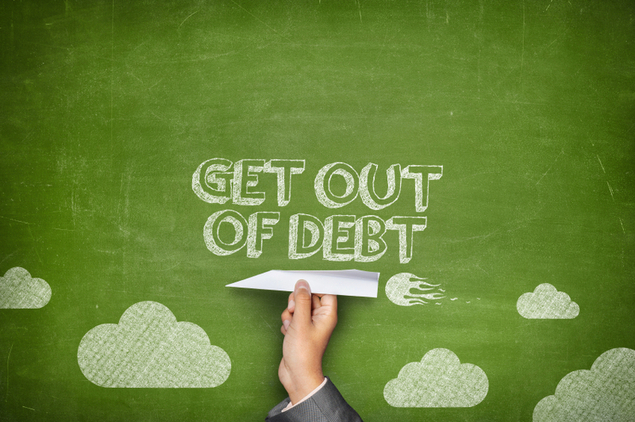 Generally speaking, public service loan forgiveness will yield a financial benefit if your debt exceeds your income. But individual circumstances may vary, so it is best to use an income-based repayment calculator to evaluate whether and how you will personally benefit from public service loan forgiveness. Public service loan forgiveness is a back-end loan forgiveness program, with the forgiveness occurring after completion of the service. Public service loan forgiveness is not retroactive, so you don't get any credit for the time you've already worked as a social worker. The clock starts as soon as your loans are in the Direct Loan program and in one of the three eligible repayment plans. (If your loans were already in the Direct Loan program in one of the three repayment plans, October 1, 2007 is the earliest start date.) Deferments and forbearances do not count toward the 10-year requirement, which is based on the number of monthly payments (120 payments) as opposed to a particular duration of time. The FinAid site provides additional information about public service loan forgiveness at www.finaid.org/publicservice.